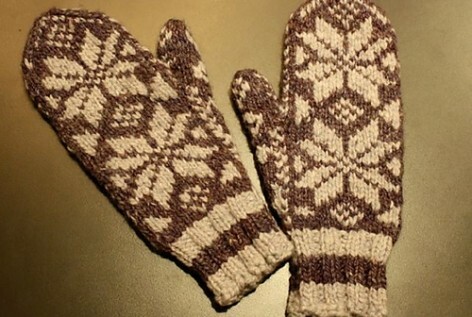 Have fun with colorwork! 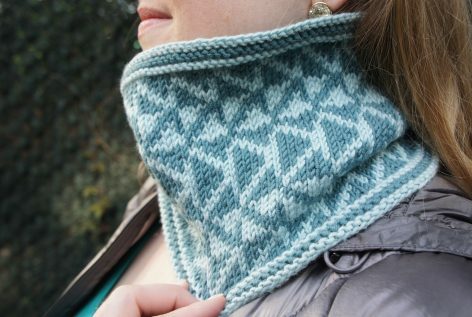 This is a full video cowl pattern, which comes with hours of video tutorials as well as three different gauge options and color variations! The pattern includes 8 video links. The video links will never expire. 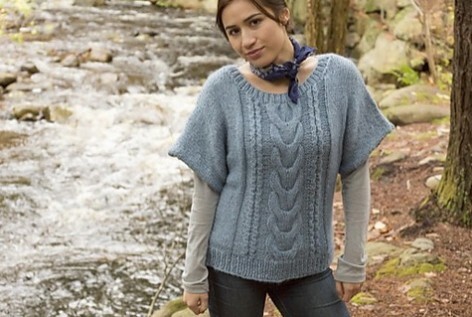 In this video class, you'll learn slip stitch, chart reading, carrying your yarn and more. 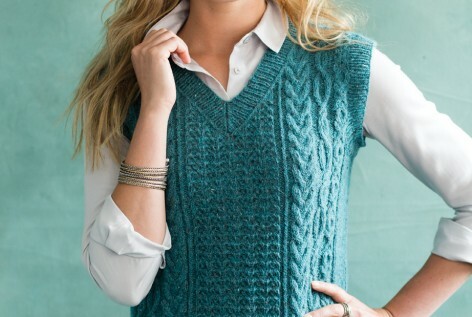 No Autumn wardrobe is complete without a classic cabled cardigan. Light, yet perfect for those nippy fall days. 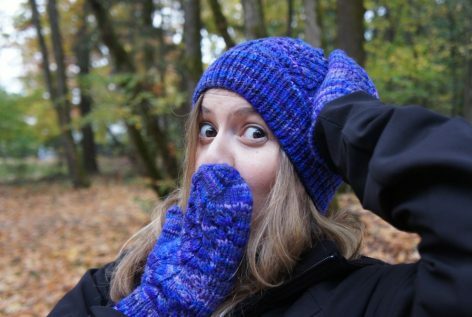 These gloves go perfectly with the Jetson Sweater. 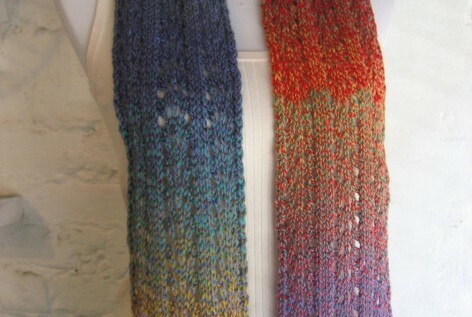 Made with the beautiful hand dyed Anzula yarn. 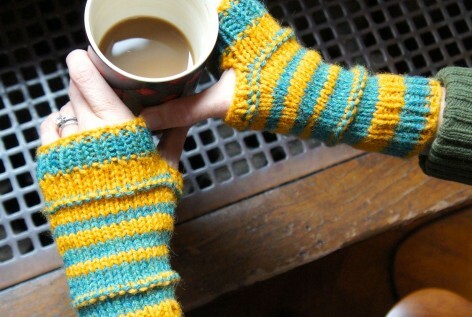 These cozy and cute gloves are great for those brisk winter days. 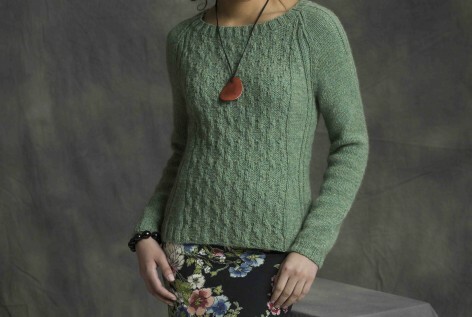 This simple and flattering sweater is a perfect canvas for the beautiful hand dyed Anzula yarn. 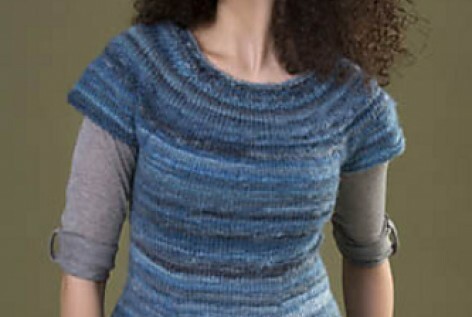 Featuring a split hem, a bit longer in the back, contrasting color welts and an i-cord bind off. With its generous ease at the hips and waist, wide scoop neck and small bell sleeves, and 10 sizes, this is a sweater for everyone! 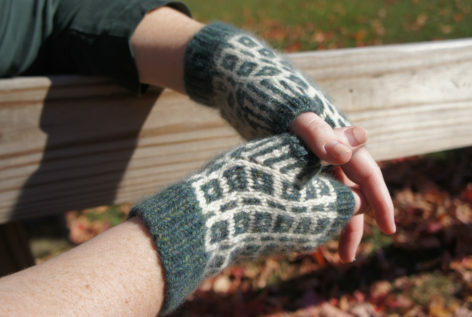 Whether made on their own or to match the Hudson Valley Hat, these stylish mittens are fun to knit! 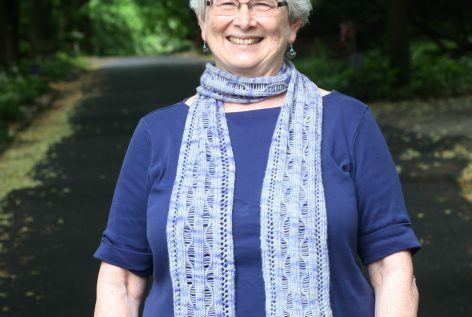 Featuring cables and lace in classic Blue Sky Woolstok yarn, they are a great project for yourself or a loved one! Vogue Knitting. Holiday 2018. 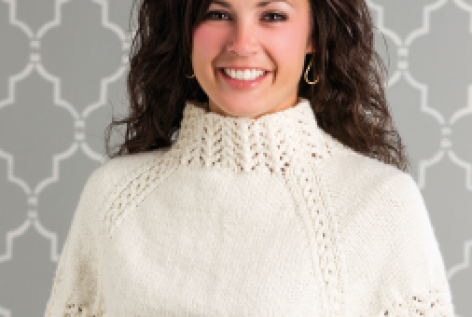 Textured bubble lace at the hem and sleeve cuffs gives this flattering, stockinette swing top just the right amount of embellishment. 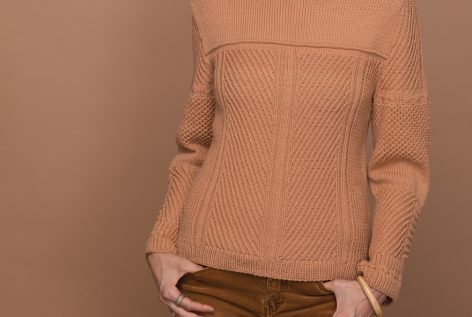 Featuring HiKoo/Skacel Collection’s Sueno Worsted, the pattern is designed with an A-line silhouette, three-quarter set-in sleeves and deep round neck. 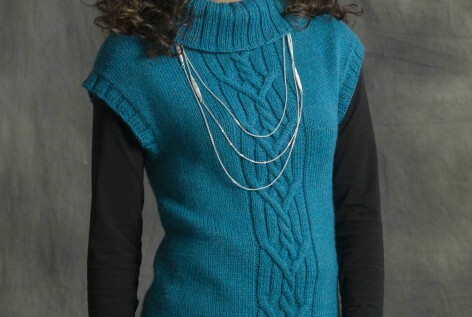 Stitches are picked up around the neck and worked in reverse stockinette for a clean, smooth edge. Vogue Knitting. Early Fall 2018. 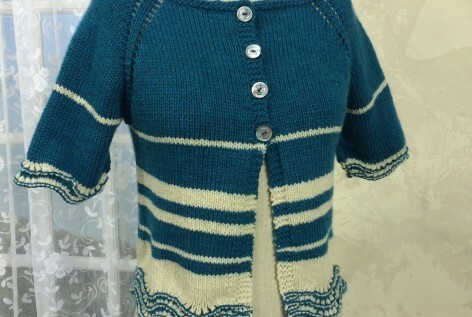 This graceful closureless cardigan, created using Blue Sky Fibers’ Woolstok, has twisting cable patterns and elegant bell-shaped sleeves. 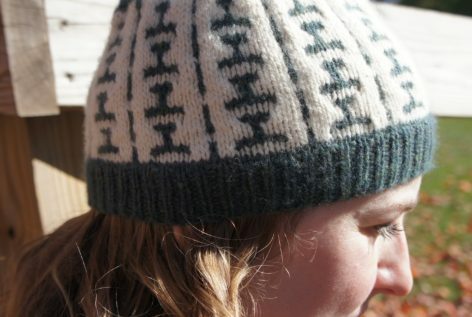 The twisted cable patterns are highlighted on a background of reverse stockinette. 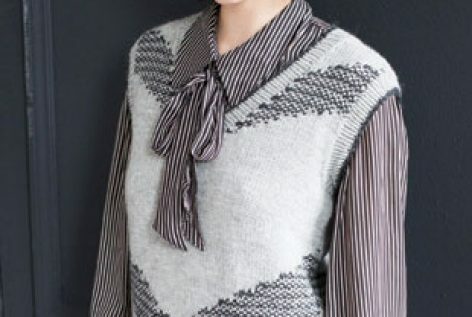 Cable patterns at the side panels and center sleeves gradually decrease creating an A-line body and elegant bell-shaped sleeves. 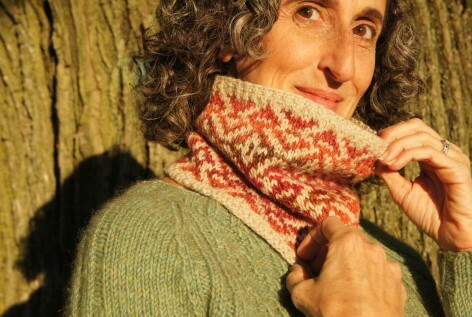 The collar grows from the cabled panels at the front edges, embracing the back neck. Vogue Knitting. Holiday 2017. 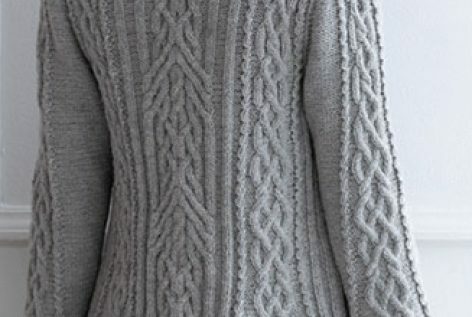 Vertical sections of stockinette, twisted traveling stitch and honeycomb pattern stitch alternate across the body and set-in sleeves of this pullover. The neck edge is ribbed in finishing. 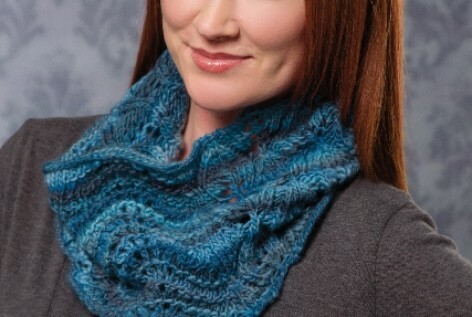 Sugar Bush Yarns’ Crisp provides excellent stitch definition. Vogue Knitting. Spring/Summer 2017. 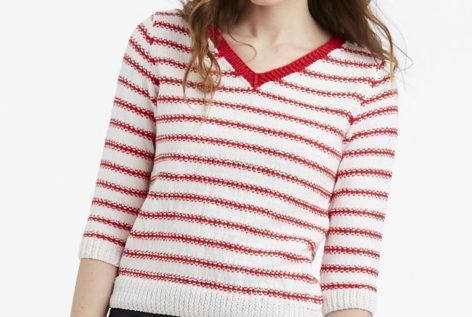 Nautical stripes get an update in linen stitch: Red stitches slipped with the yarn in front on right-side rows result in a textured pattern that stands at attention against bands of white stockinette. V neckline and three-quarter sleeve cuffs finishes the look. Click on the photo for more information. Vogue Knitting. Winter 2016/ 2017. 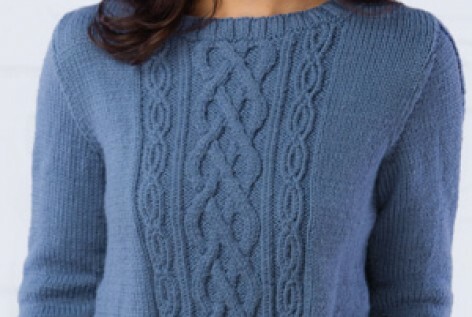 An hourglass-shaped center panel of diamond cables edged in curving braids is the centerpiece of this sweater. The graceful, feminine lines lead up to a funnel neckline, while cords twist and separate up the sleeves. Click on the photo for more information. Vogue Knitting. Fall 2016. 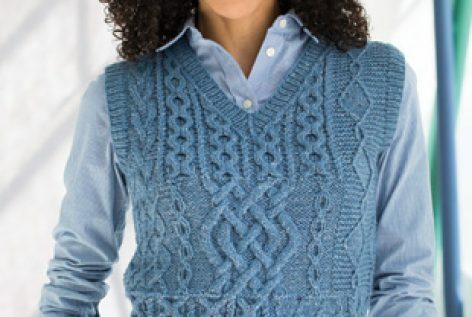 A cable vest is anything but common when it involves five different cable patterns. 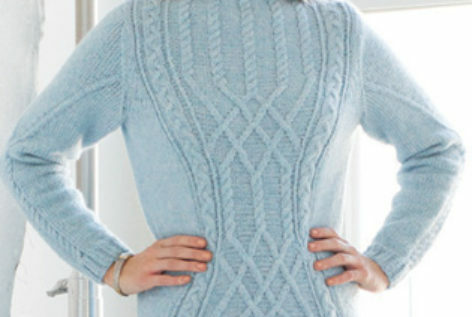 The intricacies are balanced by ribbed borders and a background of garter and reverse-stockinette stitch. Click on the photo for more information. Vogue Knitting. Fall 2015. 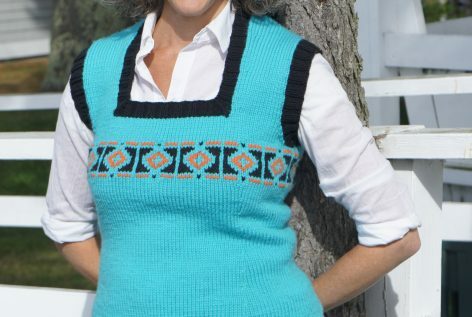 A classic cable vest with a variety of interesting stitch patterns. A must for every fall wardrobe! Click on the photo for more information. 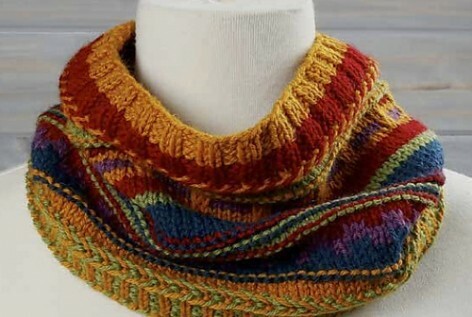 This pattern comes free with the DVD An Introduction To Color Knitting. Pick out your 5 favorite colors and have fun with braided cast on, Latvian braid, slip stitch, stripes and more. Click the photo for more info. Lace Yarn Studio. Blend the moldable beauty of stainless steel-blend yarn with the haze of mohair and you get a delightful shawl with a striking stitch pattern that looks like, well, farfalle pasta. 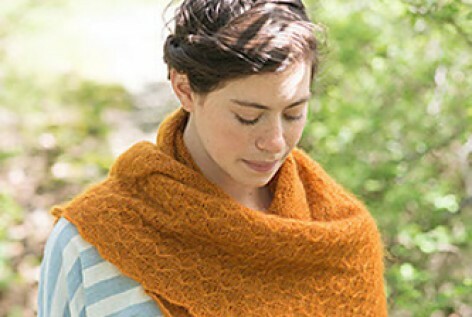 Shawl begins at center back of neck and is knit down to bottom edge. Click on the photo for more info. 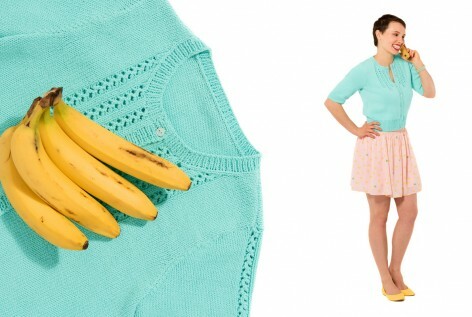 Creative Knitting: Just In Time Knits. 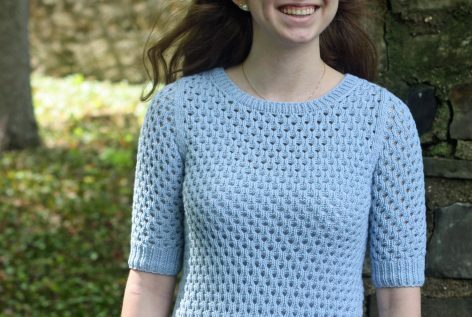 This easy top down knit is a perfect for tossing over your shoulders on a spring or summer day. 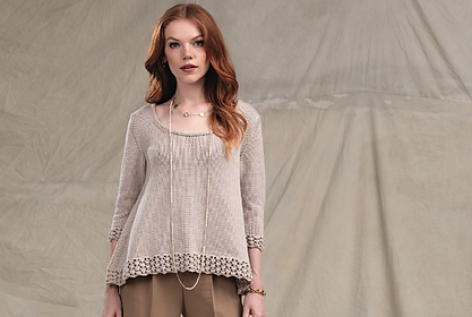 The lace edging adds an elegant twist on a classic top down raglan. Click on the photo for more info. 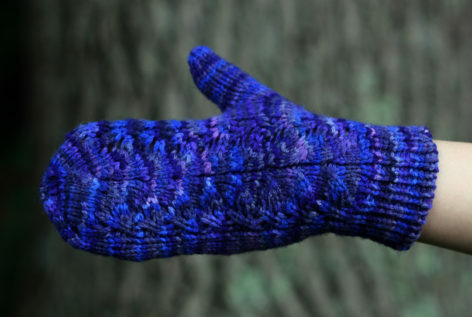 Noro Lace: 30 Exquisite Knits. 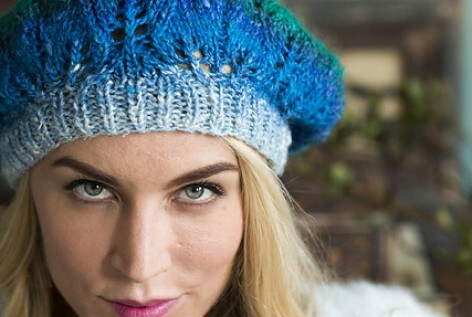 A slouchy lace beret that's as fun to knit as it is to wear. 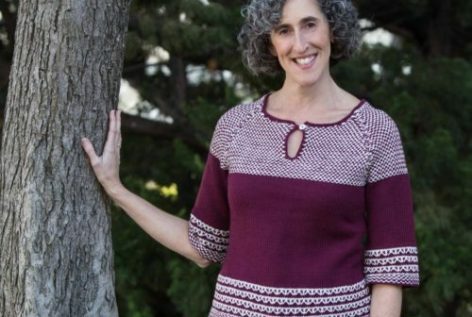 Decreases within a unique leaf lace pattern help form the shape of a jaunty, feminine topper. Click on the photo for more info. 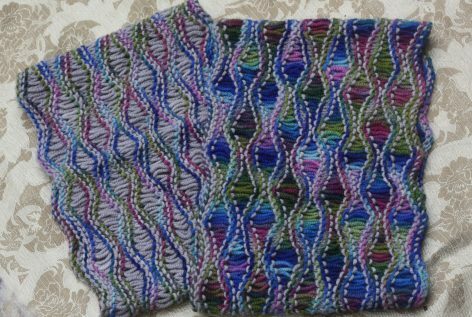 Vest Bets by Cascade Yarns. September 2014. 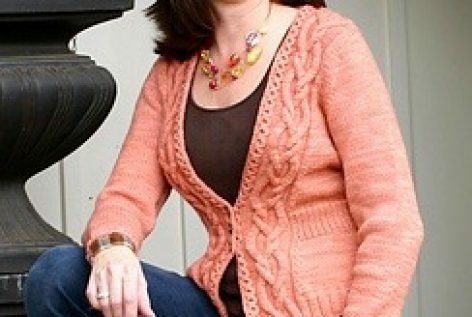 A flattering V-neck, cables, and cap-sleeves make this sweater a great project for fall-to-winter. Click the photo for more info. 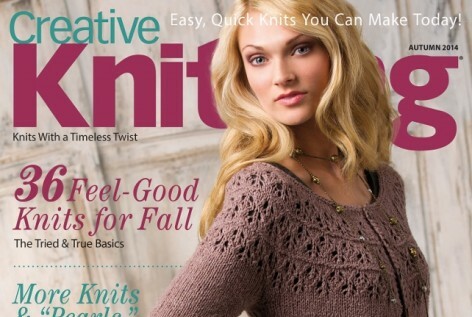 Knitter's Magazine. Summer 2014. This lace-trimmed tank is a great piece on its own or for layering. Click the photo for more info. 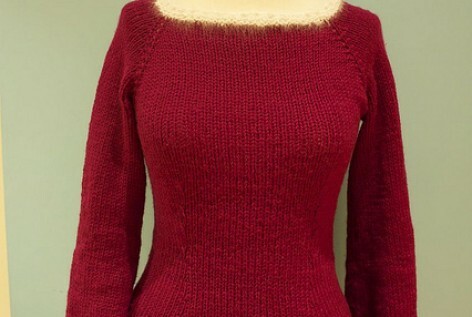 Knit 1-2-3. April 2014. This swing-style vest features lace panels that make it versatile and stylish. Click the photo for more info. 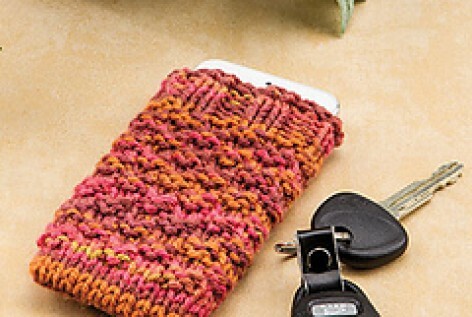 Protect your phone with this cushy cozy. 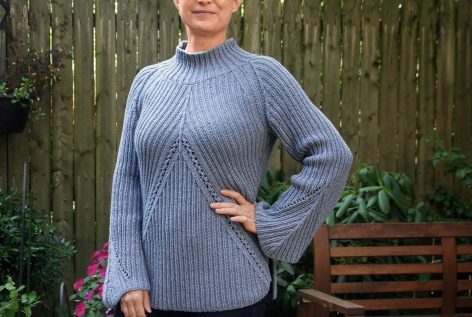 The pattern uses magic loop, Judy's Magic Cast On and Jeny's surprisingly stretchy bind off all taught in Circular Knitting Essentials All patterns come free with purchase of the class. Click the photo for more info. 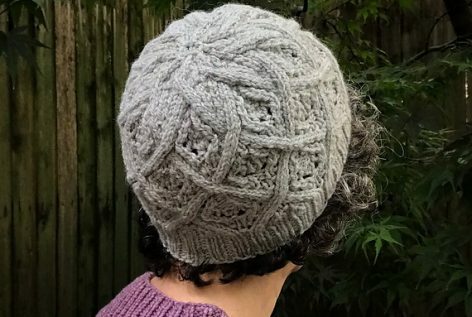 Your perfect striped hat awaits you using the dpn method taught in Circular Knitting Essentials Learn how to change colors, and knit in your tail as you go!. All patterns come free with purchase of the class. Click the photo for more info. Make a his, make a her, or make them both. 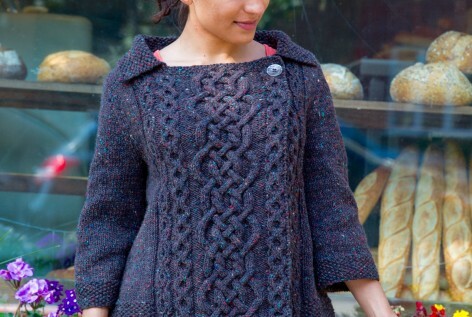 Uses the circualr method taught in Circular Knitting Essentials All patterns come free with purchase of the class. Click the photo for more info. 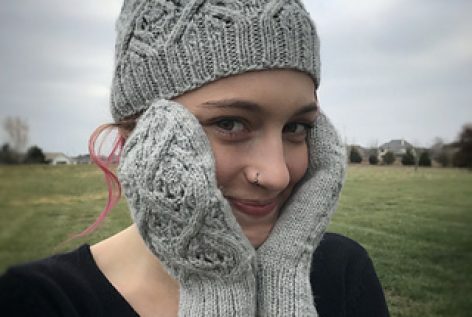 Whip up a pair of these in no time using the magic loop method and the two circs method taught in Circular Knitting Essentials All patterns come free with purchase of the class. Click the photo for more info.